LEXINGTON, Ky. (Jan. 23, 2017) – Radiation therapy saves countless lives, but in rare cases, it can cause a debilitating, long-term complication when used on the brain. 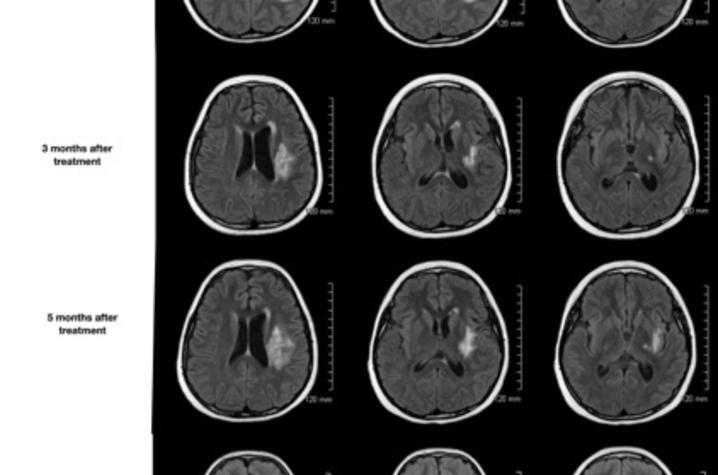 Around three to five percent of patients who receive radiation for brain tumors, or arteriovenous malformations (AVM), develop radiation necrosis, where the brain tissue around the targeted lesion becomes injured and dies. The condition can be disabling, causing severe headaches, nausea and vomiting, cognitive problems and neural dysfunction. A variety of medications have been used to manage symptoms such as steroids and an "off label" combination of vitamin E and pentoxifylline but currently there is no approved cure. A joint clinical trial at Norton Brownsboro Hospital in Louisville and the University of Kentucky could change that. 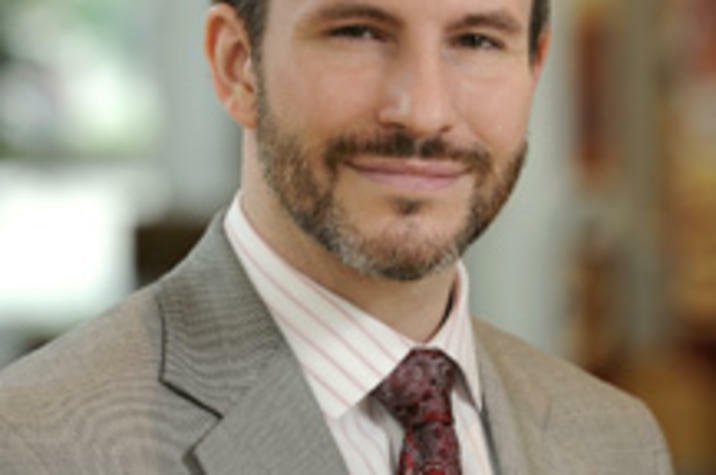 The trial, led by Dr. Shervin Dashti and Dr. Tom Yao, both from the Norton Neuroscience Institute, and Dr. Justin Fraser at UK is the first in the world to intra-arterially deliver a single, small dose of bevacizumab, a cancer drug known by the name of Avastin, directly to the area of the brain affected by radiation necrosis. Moments before this, the blood-brain barrier is temporarily disrupted so that the drug can reach the lesion. This targeted method allows a much larger amount of the drug to directly reach the affected brain than would otherwise be possible using traditional intravenous delivery, thus amplifying its effect and reducing serious side-effects. Five patients will be enrolled at Norton and five at UK. While the trial protocol constitutes a novel treatment approach as whole, each component is well-established. The drug, Avastin, has been approved for various cancers since 2004, and in 2011 a randomized, double-blind clinical trial with a small number of participants demonstrated its effectiveness for treating radiation necrosis when delivered by IV. Intra-arterial administration of drugs to the brain is also an established methodology, with thousands of patients having received such delivery of chemotherapy drugs for brain cancers. 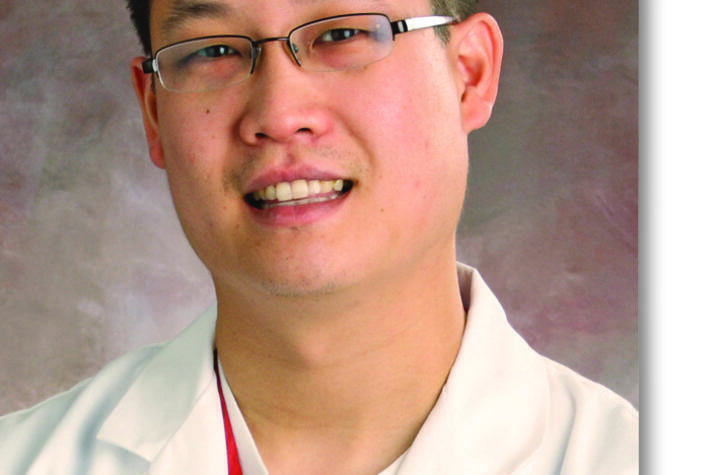 However, intra-arterial administration of Avastin for radiation necrosis has not been previously undertaken. 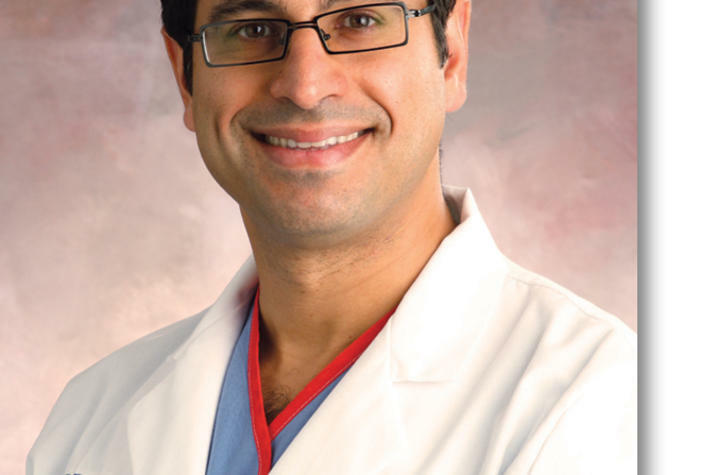 Dashti, who serves as co-director of the cerebrovascular and endovascular neurosurgery program at Norton Healthcare, has witnessed the effects of radiation necrosis on patients who have already experienced the trauma of brain cancer or AVM. In addition to the symptoms caused by the condition itself, patients also suffer from side effects of the high doses of steroids used to manage it — insomnia, mood changes, sometimes extreme weight gain. "There was nothing that worked for treating it and people were being devastated," he said. "What we're doing is something completely different and I think it has a chance to really change the way we treat this. Its' a rare complication, but really devastating when it happens, and this could possibly change the standard of care." More than three years ago, Dashti developed the investigational new treatment when two young patients were in desperate need. Aged only 12 and 13, both young girls had developed radiation necrosis after treatment for AVM and were experiencing severe side effects from the steroids. They each had disabling headaches, gained 50 to 60 pounds, missed significant amounts of school or withdrew entirely, and suffered emotionally. One patient experienced focal seizures affecting her arm and leg; the other patient had to be hospitalized for fluid overload. With no other standard treatment options available, Dashti and Yao presented to the first patient and her family the idea of delivering a single, low dose of Avastin directly to the brain via intra-arterial catheter inserted through the groin. They agreed to try, and within 12 hours of the procedure, the patient's headaches were completely gone. Brain scans over several months showed continuous and stable improvement, her arm and leg had strengthened to the point that she could walk without help and she was able to return to school. 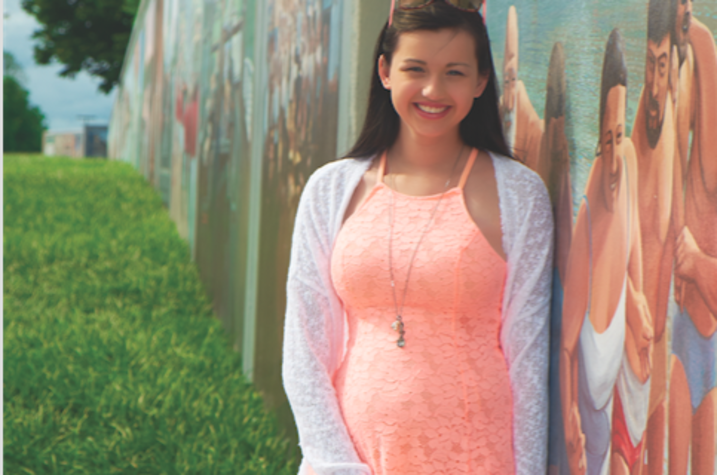 Jade Cain, now 16, was the second patient that Dashti and Yao treated with this new approach. She was 11 when the AVM was diagnosed and 13 when she met Dashti. According to her mother, Desiree Fisher, by that time 75 percent of her brain was swollen and she was so depressed that she didn't want to leave the house. "We'd been doing three or four months of really strong steroids and she ended up on all other kinds of other medications too because she developed thrush. So that's what led us to this procedure. She spent a week in the children's hospital because she was in fluid overload. She couldn't do any more steroids because that was going to kill her." "It was really hard to deal with all of that, and obviously wasn't very pleasant," Cain said. "I missed a lot of my childhood during that time." The treatment that Dashti pioneered worked as well for Cain as for the first patient. Her headaches immediately resolved, she was weaned off of steroids within four weeks, and soon returned to school. An MRI ten months later revealed that cerebral edema had completely resolved. "The response was the most amazing complete response after one treatment, and the imaging response was unbelievable. It's a very visual thing —before the treatment, it looked like someone put a bomb in there. But it was like a miraculous recovery for both of them," Dashti said. The radical success with these two young patients motivated Dashti to start a clinical trial for the treatment. He and Yao asked Fraser, director of cerebrovascular surgery and surgical director of the comprehensive stroke center at UK, to partner with them. Fraser describes their joint effort as a "natural collaboration" after years of working alongside each other in local and professional activities. "We're in this position of facing an uncommon complication of a treatment that is becoming more commonly used, and we don't have a great way to fix it," Fraser said. "What's special about our procedure is that patients are getting the drug once, very directly to the brain, as opposed to a complete course of the drug that can cause serious systemic side effects. We're developing an option to get the drug where it needs to go, locally, safely, and we only have to give it once." The trial is supported by both institutions and has received expert project management support from the UK Center for Clinical and Translational Science. "When you read in the news that a clinical trial has been done on x, y, or z, they trot out guys like me — the principal investigators. But what's behind the curtain of any clinical trial is an army of people who are ensuring that we follow the protocol and that we're safeguarding patients. You're asking a lot of a person when you sit them down and say, 'Hey you’ve got this problem, and I think I have a treatment that might work for you but we haven't totally proven it yet. Would you like to participate in the study?' It's a very vulnerable position for a patient," Fraser said. "The onus really is on us as physicians, scientists, and research staff to recognize that and take every available measure to ensure that we are consenting people with appropriate informed consent, recording every single issue, and that we give patients opportunities to withdraw from the study if they want to." Dashti and Yao’s second patient, Cain, had a final angiogram of her brain in March 2016. It showed that everything was clear. And, because she had to be partially awake during part of the procedure, she was able to see the dye dispersing through her brain. "It was really cool. It would light up like fireworks where the dye was going through the vessels," she said. Cain, Fisher, and their family have shown their gratitude for the care and treatment received from both Norton Neuroscience Institute and Norton Children’s Hospital by raising more than $20,000 for the Children's Hospital Foundation. Their fundraising efforts have included a variety of yearly arts-based programs, such as a raffle for a painting, and performances by "The Dancing Divas", a non-profit organization that empowers women to achieve personal growth, strength, and health through dance. At the decision of Cain and Fisher, these funds are directed specifically to support research on radiation necrosis. "From the steroid use, my child who weighed 105 pounds went up to 160 pounds in one month. Had this treatment already been approved, we could have omitted all that. She battled to get the weight off, and to overcome poor body self-image," Fisher said. "I wish it had been approved way before. And I hate that my child is the one who had to go through it, but I tell her, 'You have no idea what you've done — you've paved the way so other people hopefully won't have go through what you went through." If you are interested in learning about participating in this study, please contact Elodie Elayi at elodie.elayi@uky.edu or visit review the study information at ClinicalTrials.gov. For general information about participating in research, including a list of studies at UK and access to national studies, visit www.ukclinicalresearch.com. MEDIA CONTACT: Mallory Powell, mallory.powell@uky.edu; Lynne Choate, Lynne.Choate@nortonhealthcare.org.